Something scary is creeping up behind you… Getting closer every day… It’s HALLOWEEN! And if you’re anything like me, you’re putting off costumes until the last minute. Get some great, super-easy ideas for kids costumes at Kidspot. Make fairy wings in minutes! A no-sew magician’s cape! And of course, don’t forget to share some creepy crawly books with your little ones. Here are a few of your Free Library Children’s Librarian tried-and-true favorites. Creepy Carrots by Aaron Reynolds, illustrated by Peter Brown. 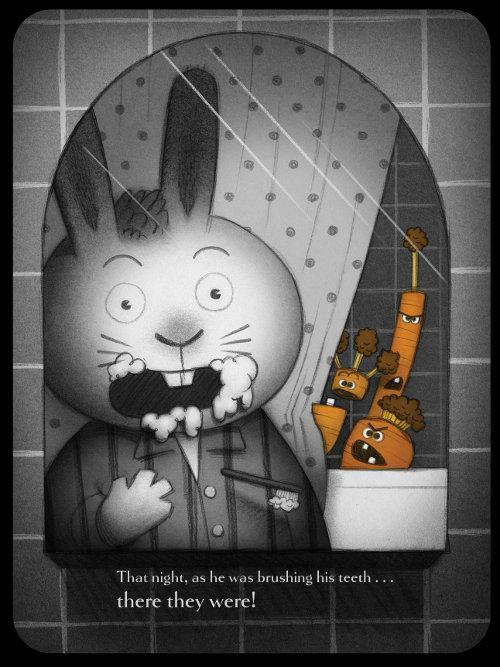 The carrots that grow in Crackenhopper Field are the fattest and crispiest around and Jasper Rabbit cannot resist pulling some to eat each time he passes by, until he begins hearing and seeing creepy carrots wherever he goes. Halloween Forest by Marion Dane Bauer, illustrated by John Shelley. A trick-or-treater ventures outside town only to find that the forest is full of spooky bones! 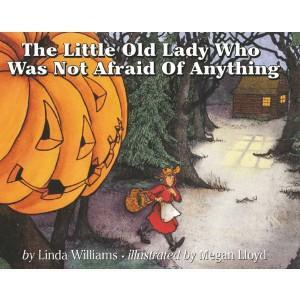 The Little Old Lady Who Was Not Afraid of Anything by Linda Williams, illustrated by Megan Lloyd. The classic holiday favorite about a clever old lady who assures a clomping pair of shoes and a wiggling pair of pants that she is not afraid of them. Shake dem Halloween Bones by W. Nikola–Lisa, illustrated by Mike Reed. A rhythmic tale about different updated fairy tale characters who attend a hip-hop Halloween ball. 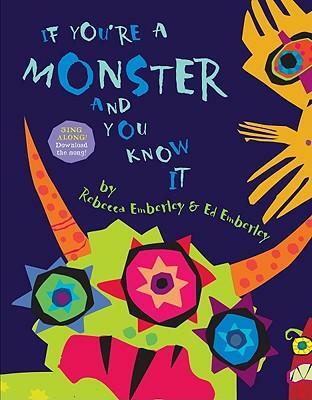 If You’re a Monster and You Know It by Rebecca and Ed Emberley. Clap your claws! Twitch your tail! Wiggle your warts! In a Dark Dark Wood: An Old Tale With an New Twist by David A. Carter. In the dark, dark wood, there was a dark, dark house... Do you dare read till the end?